The initial and final concept came from Booper who had an idea to use purples and a blue that would complement each other as to not make a bright set. We did a lot of sampling starting in August thanks to our good friend livingspeedbump. We asked for samples based on Pantones, but the colors were not complementing. We decided to color match using the original pieces by Signature Plastics from the DSA set. GMK was able to provide samples that matched Booper’s taste. Deep Space will be using the same custom legends from the original set also provided by GMK. As usual, the set will go through a double shot process identical to the original cherry equipment tooling for a thick and pronounced keycap. 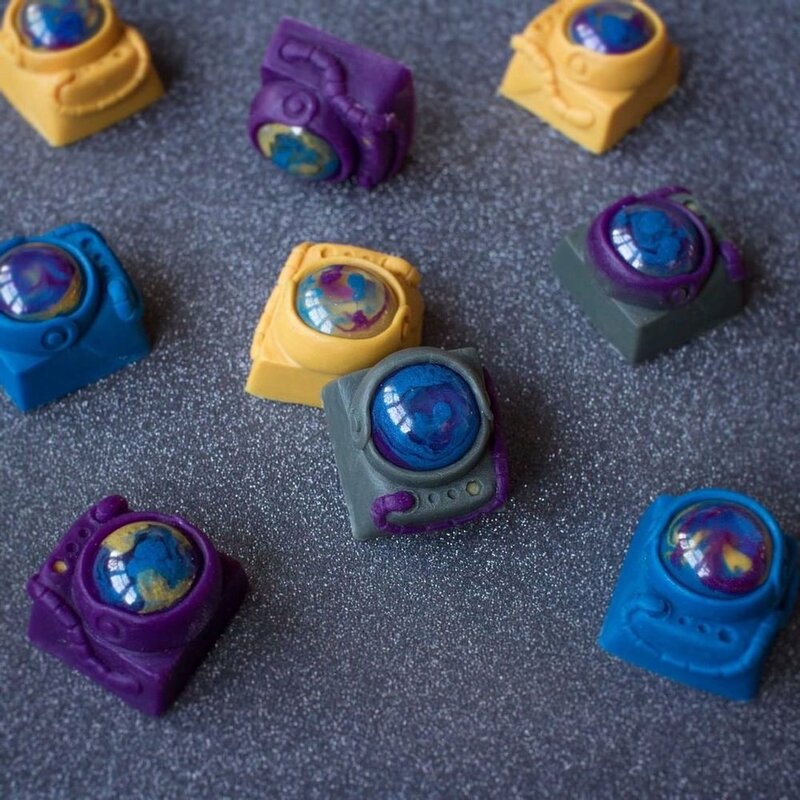 With her amazing creativity, Booper has whipped up a fresh batch of Cosmonauts in Deep Space to match your set. To be entered, order a GMK Deep Space within 24 hours and send a receipt to omniclectic@gmail.com. All entrants have a chance to be entered for a Cosmonaut. Again and again, Nightcaps has done it. 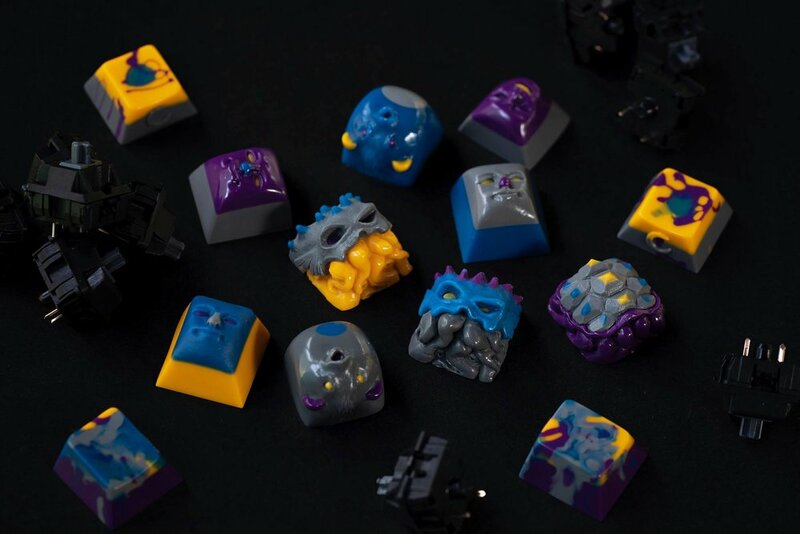 After GMK samples were sent to us, they went to our friend at Nightcaps, and for the first time, they came up with a few alternative colors that really sets this set into space. If you can’t imagine Fuguthulu in space, then you’re getting it all wrong because he is much like any other alien species. All entrants have a chance to be invoiced for Nightcaps. You’ll be automatically entered when placing an order with us. Please be patient with the invoice as it will take time.